We have been designing school gardens, river banks, urban forests and city parks over the last 12 years. I’ve written about school garden and city park design project in former articles. 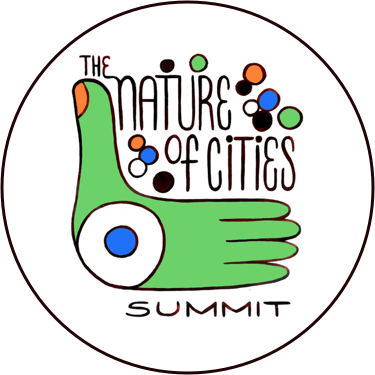 The aim of these projects are to create areas for children’s play, ecological education, and biodiversity preservation that can simultaneously form part of an ecological network in an urban area. 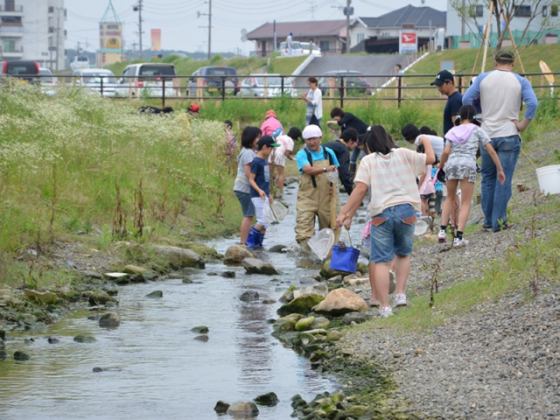 In this blog, a nature restoration project at a riverbank has been planned in the northern part of Kyushu, Japan. 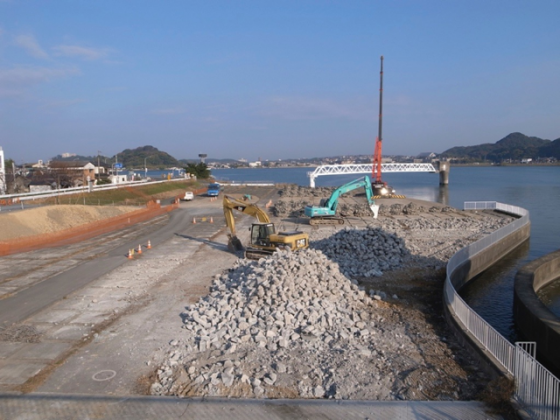 The ministry of Ministry on Land, Infrastructure, Transport and Tourism asked us (Keitaro ITO Lab., Kyushu Institute of Technology, Japan) to design a new fishway and river mouth surrounding area as an ecology park. 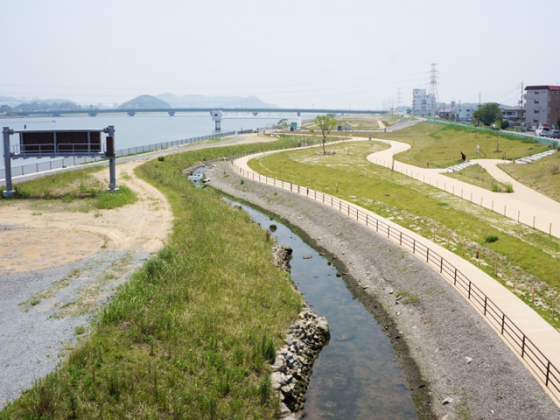 In this blog, I would like to focus on river landscape design process and nature restoration and discuss urban ecology. 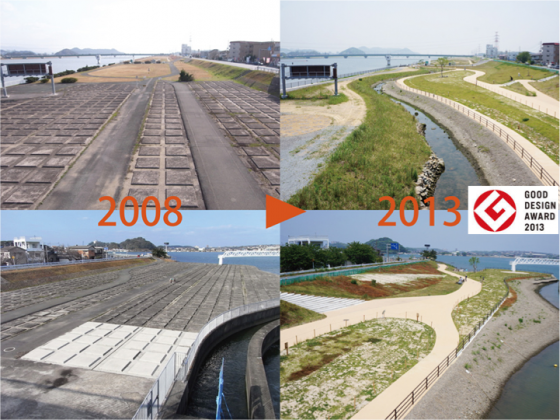 Changes in five years at the project site. Credit: Keitaro Ito. 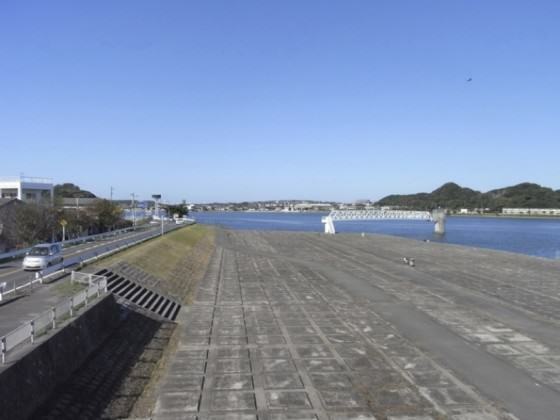 The River Onga in Fukuoka Prefecture, Kyushu, Japan, has a total length of 61 km and a catchment area of 1,026 km2. The urbanised areas have dramatically expanded at the surrounding area of the river. The population at the surrounding area of the river is around 670,000 people, and the population density is around 650 per square km. 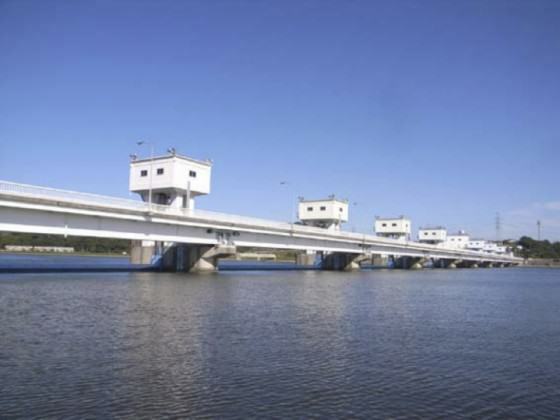 The surrounding area of the river is composed of mountains (80%), agriculture area (14%) and residential area (6%). 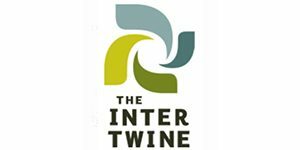 The river has contributed to local society, economics and culture over the centuries, thus there have been many linkages between local people’s life and the river. We conducted our basic design process during October 2008 through March. As in our previous projects in school gardens and city park, we used “process planning”. The fundamental principles of our landscape design are as follows: (1) using local materials; (2) avoiding artificial shapes; (3) creating play spaces for children; and (4) enhancing native biodiversity. According to the above principles, we stated “Restoration of a waterfront space linking between people and living nature” as the design concept. 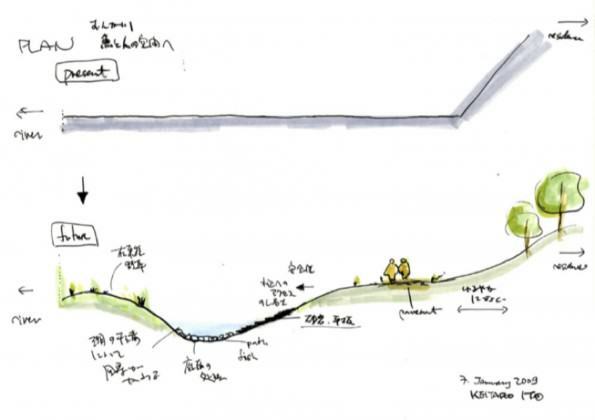 The figures below show the informal design sketches by Keitaro ITO. And the 1/100 model was made by the students in Keitaro Ito Lab. Practical planning was held April 2009 through September 2010 with MLIT staff, university students, local government staff, residents, children and consultants. Collaborative work was conducted in 12 workshops. The construction process occupied one and half years, October 2010 to March 2012. At first, we got rid of the concrete structure and recycled them for fixing the underground structure at this site. Finally, the site was gradually covered with grasses and trees; areas children could occupy. Also, the site at the end of the lower fishway was designed for a tidal flat which could attract both water creatures and birds. 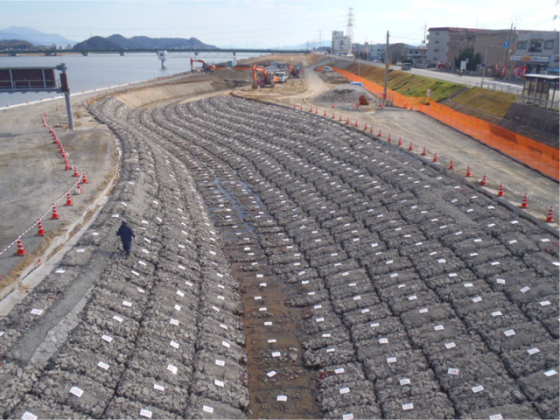 Although tidal flats used to exist everywhere at river mouth areas in Japan, it has currently become rare due to concrete embankment construction. Consequenctly, very significant ecosystems at tidal flat areas are threatened. The can be a special place for an an environmental education opportunity for local children to observe ecosystems . 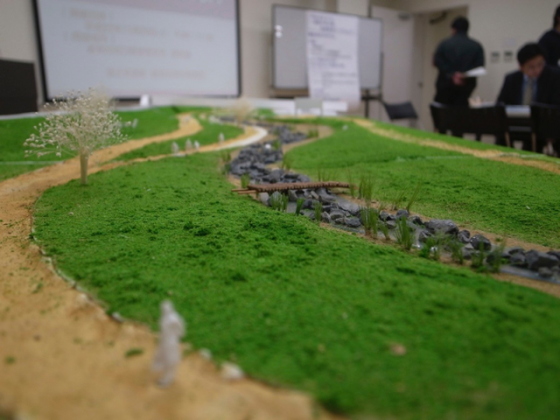 Now (July 2014) we are in next stage of the project and challenging ourselves on how to manage the fishway and grassland for urban biodiversity. The detailed design process and ecological monitoring data will be coming soon in a book and papers. 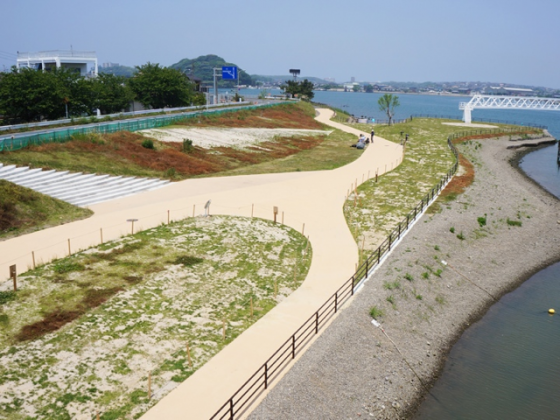 The park was designed & formed as a space for nature restoration at the weir across the mouth of River Onga in Fukuoka which used to be covered by concrete. Producer: Ongagawa river office, MLIT. Keitaro ITO, Kyushu Inst. of Tech. Suguru TATSUMOTO, Ongagawa river office. Yuichi ONO, Kyushu University. Director: Keitaro ITO, Kyushu Inst. of Tech. Takayuki FUKAURA, Ongagawa river office. Matsuura Shiraishi JV. Matsumasa Fukuyama JV. Mishima Construction CO.,Ltd. Designer: Keitaro ITO, Kyushu Inst. of Tech. Lab. of Env. Design (Keitaro Ito Lab.) , Kyushu Inst. of Tech. Yachiyo engineering CO.,Ltd. CTI engineering CO.,Ltd. Civil eng. & eco-tech. consultants CO.,Ltd. 1) Ito, K., Fjortoft, I., Manabe, T., Masuda, K., Kamada, M. and Fujuwara, K. (2010). 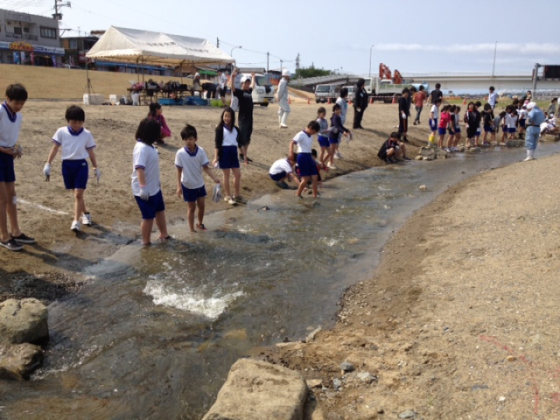 process of school biotope for 5 years. Urban Biodiversity and Design.Consrevation Science and Practice Series. Eds. N. Muller, P.Werner, J.G. Kelcey Blackwell Academic Publishing. Oxford. 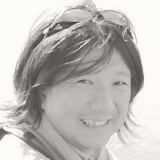 Keitaro is a professor at Kyushu Institute of Technology and teaches landscape ecology and design. 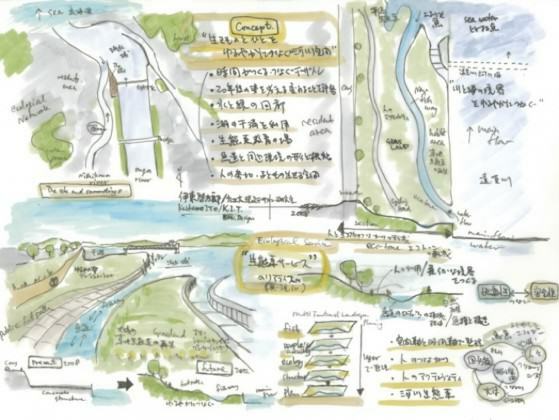 He has studied and worked in Japan, the U.K., Germany and Norway and has been designing urban parks, river banks, school gardens, and forest parks. I’m no Dr. But thank you for offering to reach out. Am best reached on my email [email protected]. It may be a little easier than phones across timezones. I think primarily what is needed is the sense of belonging to one’s neighbourhood. Once the sense of ownership is there it does not take long for the determination to make a difference to set in. Any such difference has to involve the community. The speed varies but something happens! Congratulations Keitaro Ito on your success and for involving people across age groups. Good project idea by Keitaro Ito. Urban areas have heterogeneous landuse. Planning and management is crucial. Local people’s participation is a vital point as suggested. But can we achieve this in a a densely populated urban area with congested built structures which asphyxiate urban environment?